Baby gender announcement gifts for grandparents, aunts, uncles, brothers and sisters! About 3.5 inches long. Estimated for Newborns - up to 3 months old babies. About 4 inches long. Estimated for babies at least 3 months and up. ❋ Comes in a kraft box with a customized message strip (also kraft paper material) over the gift box. ❋ A gender reveal card inside the gift box. (Blue for boy) (Pink for girl) It may be hard to see from the picture, but the card is nicely embossed with random designs. You may have your own personal message written on the strip or choose one from the suggestions. ❥ He or She? Open to see! ❥ Will baby ( family name ) be a boy or a girl? ❥ It’s time to know! It’s time to say! I’ll make your day! Please be sure to leave your personal message in the Note to Seller section while checkout. If you would like for me to mail your gifts directly to your recipients you will need to make a separate order for each recipient. Please note each baby is different. Those are estimated age groups for the shoe size. Hand or machine wash on gentle cycle in cold water, and lay flat to dry. Should you have any requests or questions, please don't hesitate to contact us. 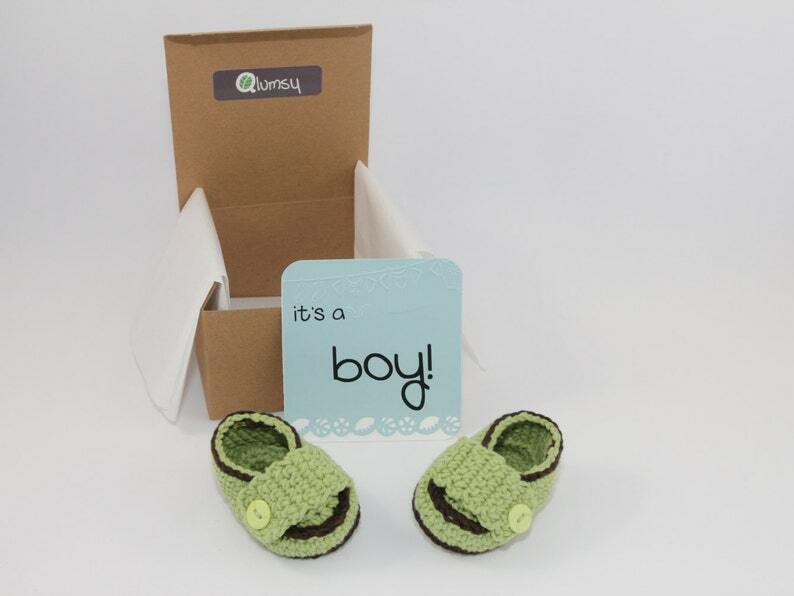 Gender Reveal Gift Box/ Pregnancy Announcement/ Crochet Baby Booties/ Gifts for grandparents, aunts, uncles and more! The cutest little spoons! Perfect for scooping out my clay for face masks. Love these little spoons!! Very fast delivery!! Very well made!! So cute!! Thank you!